Powdery white sand. 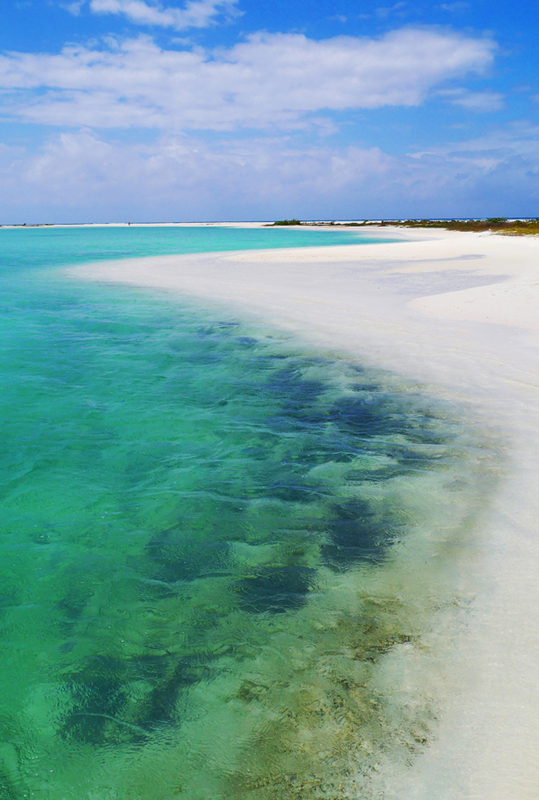 Shallow, crystal-clear turquoise shimmering in the blazing Cuban sun. Blue skies as far as the eye could see. A low, mostly uninterrupted landscape of long grass with few tall trees. The only thing that spoilt the picture was the seaweed that would wash up with the waves and tickle our feet like an army of slimy tentacles, but even so I convinced myself that the seaweed was good for my skin and that back home I'd go to a spa to do the same. We waded through shallow waters that were no higher than our waists to get to a sandbank a little way out in the sea. We shared this slice of paradise with tourists (many of them Italian) who would pass by to stop and take photos of themselves draped, arched, and stretching alluringly across the white sands of this tiny little island. ...while I undertake the far more important task of finding the perfect spot for a nap. Priorities, people. What better way to top up a tan by lying on a sandbank in the sea, roasting like a rotisserie chicken and being kept cool from the heat of the sun by shallow, cool waves lapping around and licking at the skin? Ciara asks me to teach her how to pose for photos, so I gamely try my best. I tell her to copy everything I do. The student outranked the master. ...but why would anyone do that when you could just wade through waist high water to this little piece of heaven? My bikini is the Indy Holli Hyde by Triangl. And to think that Playa Paraiso isn't even considered the most beautiful beach in Cuba. What size top did you get for the Indy? ?